This light and bright 2-bedroom, 2-bathroom apartment is ideal for anyone seeking a Noosa Heads lifestyle or investment. Live here and enjoy the prime location - only an 5 minute stroll to Noosa's Main Beach and the shopping and dining of Hastings Street. Or invest and generate an income thanks to this property's ultra-desirable location. The renovated ground-floor unit is north-facing for year-round sunshine. The open-plan living zone features lounge, dining and contemporary kitchen. Wide doors encourage the cooling ocean breezes and provide views to the Noosa River, which is directly across the road. You can almost step out your door and straight onto your stand-up paddleboard to explore Noosa's delightful waterways. Relax with a cool drink on your undercover patio as you soak up those views or soak up a little sun on the green lawn surrounded by low-maintenance tropical landscaping. The 2 bedrooms are bright, spacious, and air-conditioned. The entire unit has cool and easy-care tiled flooring, with celling fans throughout. As the end apartment, this one has extra light and privacy. It is part of a complex with a heated pool and spa, and a rooftop terrace with water views & BBQ's - with this lifestyle, you'll be the envy of all your friends! 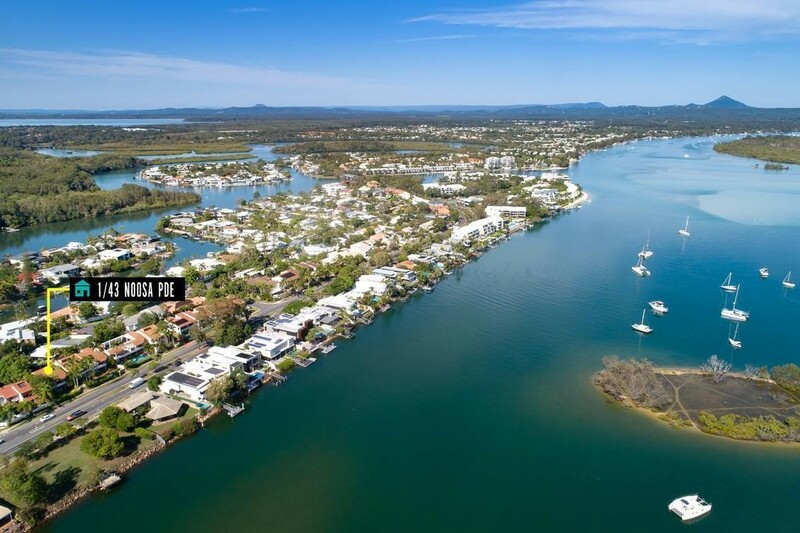 The location of this property makes it a desirable offering for investors or anyone seeking an enviable Noosa Heads lifestyle, so don't delay an inspection with our agents.